Heating World of Spares Ltd. are committed to safeguarding the privacy of our customers; in this policy we explain how we will handle your personal data. HWOS Ltd. complies with the guidelines set out by the General Data Protection Regulations (GDPR). The data we store about your company has been supplied to us by you or a representative of your company. It is your responsibility under GDPR guidelines to ensure any data you provide to us about a third party is given with their consent and managed in compliance with the regulations. This will be most relevant, for example, if you provide your customer’s address and contact details for delivery of a parcel from us. Your data is primarily held on our stock and order management system. Access to this system is password protected and secure. If you have registered your details on our website, hwos.co.uk, the data you provide will also be stored. Our website, with your consent, may collect further data including, but not limited to, your IP address, geographical location, usage patterns etc. All of this data is stored on our host’s server, access to this system is also password protected and secure. Provide you with quotations, process your orders, notify you of an order’s status, inform you of any problems with an order, and provide updates about your deliveries. Contact you regarding any enquiries you have made. Advise you of any relevant changes to our services, products or company. The establishment and management of a Credit Account (where applicable). Contacting you to ensure the data we store about you is up-to-date, accurate and relevant. Maintain records of your order history. The operation and management of our website. Our shipping partners, including our couriers and Royal Mail, to deliver your order or our printed marketing materials and to provide you with information about your deliveries. Our suppliers, where necessary for shipping orders directly from their warehouse, warranty claims etc. Our appointed legal representative should this be needed or to comply with a legal obligation. Our professional advisers if necessary to obtain insurance, manage risk or seek advice. 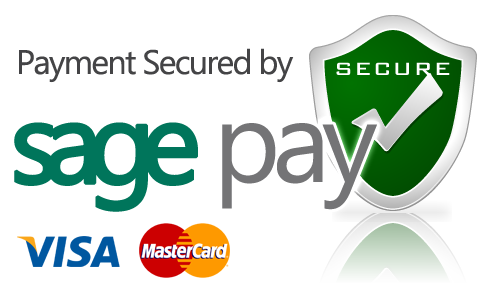 Our financial transaction partners to process payments or refunds. HWOS Ltd. will only provide data about you to a third party where it is absolutely necessary to provide a service or product for you. We will never sell any of your data. For more information about cookies visit https://www.aboutcookies.org&n... all cookies will have a negative impact upon the usability of many websites. This website is owned and operated by Heating World of Spares Ltd.
We are registered in England under registration number 6014278, and our registered office is at Unit 1b Henson Close, South Church Enterprise Park, Bishop Auckland, County Durham, DL14 6WA. by phone, using 01388 760 333.